Sheffield Central Library is the main branch of the public library in Sheffield. It houses the city library service’s largest general lending and reference collection, as well as hosting an art gallery on the third floor and a theatre in the basement. Our collaborations with Sheffield Library have resulted in digital fiction workshops for library staff, for adult readers, and for children. We also produced a Good Read Guide to Digital Fiction for their website. Bank Street Arts in Sheffield City Centre is an innovative cross-disciplinary Arts Centre. 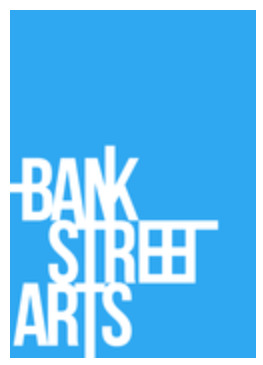 Bank Street Arts is a self funded Arts Centre that provides a home, venue and setting for a wide range of creative individuals and organizations, housing some of the best new art, writing and culture from across the region and throughout the UK. We have created two exhibitions at Bank Street – “The Future of Reading?” exhibition and WALLPAPER (Sheffield) – and also delivered a number of talks, workshops, and reading groups on digital fiction. One-to-One Development Trust create innovative digital media, film and arts projects and their work celebrates and promotes culture, heritage, wellbeing, education, and diversity. One to One Development Trust work with arts organisations, archives, museums, voluntary sector, NGOs, schools and universities, community groups/enterprises, statutory sector organisations, businesses, artists and entrepreneurs. Their Dreaming Methods initiative fuses writing with digital media to create electronic literature and experimental narrative games. We have worked with Dreaming Methods on two WALLPAPER exhibitions: one in Sheffield and one in Wakefield (as part of the Being Human 2016 festival). The collection of The National Library of Wales contains books, maps, manuscripts, archives, bibliography, pictures, and photographs dealing with Welsh history and culture. Located in Aberystwyth, Ceredigion, United Kingdom. Pontio Arts and Innovation Centre (Bangor, Wales) will be a site for the creation of spectacular theatre productions, film, music, circus, dance and other innovative performing arts. The iconic building will build bridges between arts and sciences, the University and the local community, and Bangor and the wider world. Prof. Lorna Hughes (University of Wales Chair in Digital Collections/National Library of Wales).